Benjamin Franklin once said, “in this world, nothing can be said to be certain, except death and taxes and saggy skin. Your face isn’t a road map, so let’s make sure it doesn’t look like one. Visible veins on your face and legs can be frustrating. Age often causes red areas around the nose, cheeks, and eyes. This actually makes you look years older than you really are. VISIBLE VEINS MAKE YOUR FACE LOOK RED, BLOTCHY, AND OLD! Varicose Veins are veins that appear on your legs. They aren’t fun to hide either. Sometimes varicose veins on your legs can lead to pain and long-term circulatory problems. 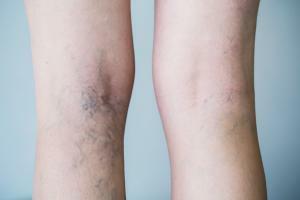 WHY DO VISIBLE VEINS AND VARICOSE VEINS APPEAR? Visible veins affect men and woman of all ages, though their prominence heightens as you age. Hormonal variances, sun exposure, and pressure can cause blood to collect within the vein. 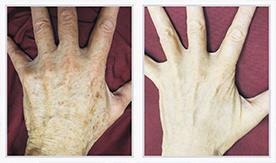 Visible spots and veins are a natural part and, unfortunately, inevitable part of aging. The good news is that treatment is easy, and the results are fast. Get those shorts out and put away that roadmap. Reducing visible veins on your face and legs is a non-surgical procedure. Just one treatment can make you look and feel years younger. We’ve been in the longevity business a while now and confidently promise our unique, non-surgical vein treatments will make you look younger. 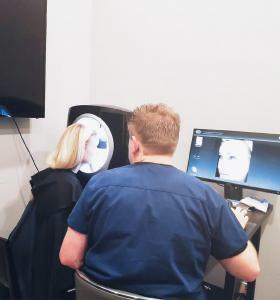 With our advanced lasers and in-depth knowledge, you have nothing to worry about. Reducing visible varicose and spider veins is actually affordable and fast. Are you ready to look and feel better about yourself, outside and in? Check out some of our spider vein treatments and varicose vein removal treatments below. We highly recommend, however, to learn about which treatments work with your unique completion. Our experience and guided expertise will guarantee the fastest possible results. Fill out the form below or give us a call to schedule an appointment. Walk-ins are also welcome (map on contact page). All consultations are completely FREE, so you have absolutely nothing to lose except pesky veins. Map on the Contact page, not your face!